"Do you use meal plans with your clients?" "Should I use a meal plan?" "Is there a best meal plan to follow?" "Can you make me a meal plan?" My hope is that this post will answer all of those questions and more. 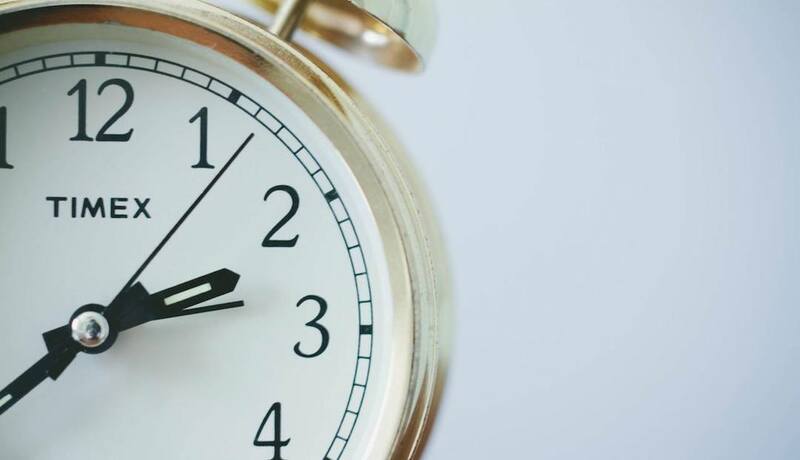 In fact, after reading all the way through this article, you will know EVERYTHING you'd ever need to know about maximizing your meal plan for short and long-term fat loss success! 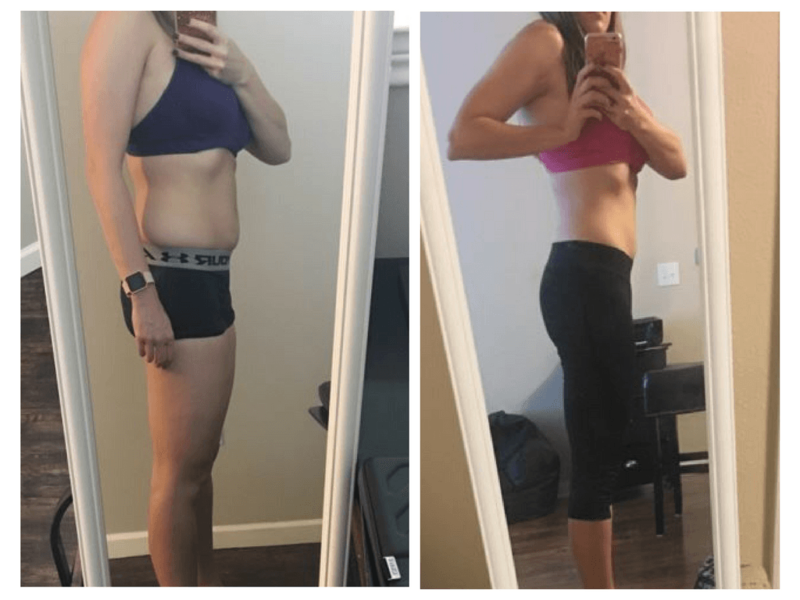 By using the meal planning advice and strategies outlined in this article, I was able to over 140 pounds of fat and achieve the body and health I always wanted. I don't share these success stories to impress you but rather impress upon you what is truly possible when you dedicate yourself to your goals. By using the principles outlined in this article, you'll know exactly how to structure your diet so that you can burn fat and get the body you've always wanted in a sustainable and enjoyable way. Do Meal Plans Even Work? Yes... in theory. Losing weight comes down to calorie balance, so as long as a meal plan creates a calorie deficit for the person using it, they'll see results. You know exactly what and how much to eat - this eliminates guesswork and inaccuracies with a mindless approach to losing weight such as "eating more salad" or "cutting back on sugar." Instead, you have a plan that's structured to ensure you're consuming the right amount of calories to lose weight. They take over-thinking out of the equation - when you know exactly what and how much to eat, you don't have to stress about where your next meal is coming from or if you've accidently gone over/under you calories and macronutrient goals for the day. If planned correctly, meal plans are easy to follow - one of the arguments against meal planning is that they're too rigid and inflexible (which is valid, and we'll talk more about here in a sec). However, if you follow a meal plan designed using foods you actually enjoy, then you'll have an easier time following it. They're unsustainable in the long run - for most people, following an exact meal plan every single day just isn't practical. Our lives have variables: company dinners, family gatherings, last minute social events, etc. Trying to adhere to a meal plan 100% of the time just isn't going to happen for most folks. The "on" or "off" mindset - some people put all of their efforts into following a meal plan and actually have some success. The problem is that they don't know what to do once they go "off" their meal plan. This usually results in weight relapse - it's as if they're "on" their meal plan and losing fat, or "off" it and gaining weight. The unknown creates chaos - when people inevitably go "off" their meal plan because of unforeseen changes, it can cause uncertainty with what and how much food they need to eat to support their fat loss goals. So instead of making rational food choices, they say "eff it!" and end up binging on booze and pizza. They can be an excellent introduction to tracking for beginners - I believe that the best thing anyone can do to improve their weight loss journey and ability to maintain a lean body is learning how to track calories, macronutrients, and proper portion sizes.Having a set meal plan can aid in helping beginners do this by taking food choices out of the equation, so all they have to do is focus on improving their tracking and weighing skills. A meal plan can provide stability - the repetitive nature of a meal plan isn't always a bad thing. The rigid structure is often welcomed by people who have a hectic schedule of work, kids, school, and other obligations. For these people, having a meal plan means there's one less thing to think about. Routine-oriented folks like me love em'! - I'm the type of person who's completely happy with doing the same exact thing every day for weeks, and I've worked with a lot of other folks who share a similar routine-oriented mindset. For boring people like us, it's easier to eat the same 4-5 meals every day and then change things up every 3-4 weeks. Are you the kind of person who enjoys routine and doesn't get bored eating the same foods? If so, then you'd probably do well following a meal plan - just don't get sucked into the idea that you HAVE to follow a meal plan to lose weight. Life is unpredictable, so it's in your best interest to take the time and learn about calories and proper portions if you want to be successful and losing and maintaining a healthy body. 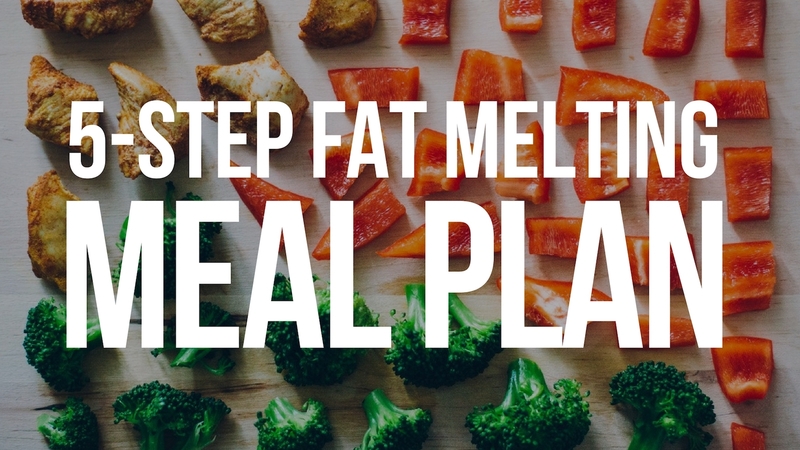 ...Then you will get a TON of benefit from this 5-step meal planning outline. But even if you don't fit one of those descriptions above, I still believe you should read this outline. Everyone can benefit by adding some type of structure or planning to their nutrition. As the saying goes, "Fail to plan, and you're planning to fail." You get the point. They're important. So before you can move onto the other 4 steps, you need to make sure you're planning using the correct number of calories for your goal. Unfortunately, due to the variance of metabolisms and activity between people, there's not a perfect method for calculating individual calorie needs for fat loss. Important Note: if you need to lose more than 50 lbs to reach your ultimate goal weight, then you should set an "in-between" goal weight that's 50 lbs less than your current weight and use that number to calculate your deficit. 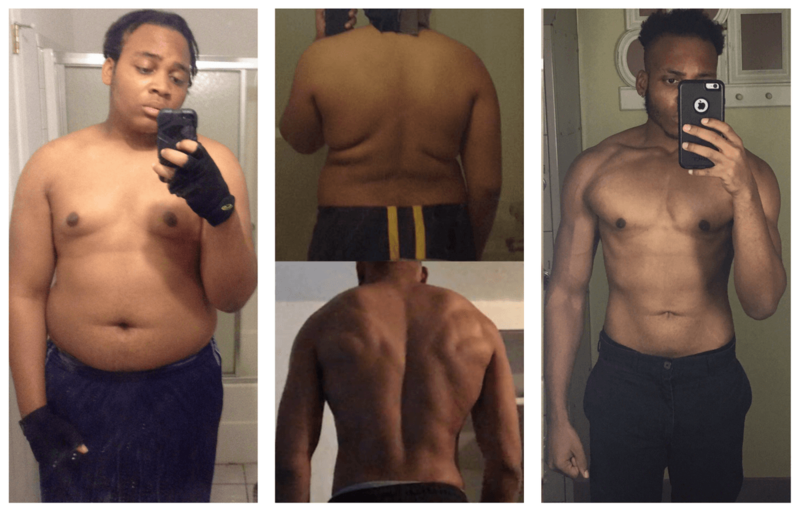 If he ends up plateauing on the journey to 250 lbs (which often happens), he will start over with a new in-between goal weight using the 50 lbs rule. Let's say he plateaus at 270 lbs. To start losing again, he'll set a new in-between body weight goal of 220 lbs with and a calorie target of 2420. He'll continue this process up until his weight is in the 230s where he could start using the regular formula. (since he'll be within 50 lbs of his ultimate goal of 180 lbs). For most people, tracking calories and protein will be more than enough to get them the fitness results they're looking for. Getting enough protein is important for a number of reasons - many of which I talk about in here. But for the purpose of this article, just know that protein plays a major role in maintaining lean tissue while dieting (important for your metabolic speed) and decreasing your overall hunger levels. I recommend getting anywhere from .64-1g of protein per pound of GOAL body weight. So the 300-pound guy from before would use his ultimate goal weight of 180 lbs here and get a protein target of 115 - 180g. I usually advise people go no lower than .64g x GOAL body weight – especially while dieting – unless they have a unique reason for needing to do so. We know that calories are king when it comes to changing our body composition. Are either of these approaches ideal for your health? No way. But they prove how there's no such thing as good foods, bad foods, fattening foods, or magical fat-burning foods. What makes foods different are their calorie densities (calories per gram) and micronutrient density (amount of vitamins, minerals, fiber). But just because you CAN eat exclusively unhealthy foods and lose weight doesn't mean you SHOULD. Make 80% of your food choices come from micronutrient-dense whole foods. That'll ensure you get enough vitamins, minerals, and fiber for optimal health, digestion, and satiety. Then you can allow for 20% of your food choices to come from less nutritious foods such as cookies, ice cream, booze, and Twinkies. If you like eating smaller meals every 2-3 hours, that works. If you'd rather have three square meals per day, that'll get the job done as well. It all comes down to YOUR personal preference. My preference? I like fewer, but larger meals. It keeps my belly full and my mind off of food. The one thing I recommend: whichever meal frequency you choose (2x, 3x, 6x a day, etc. ), try to eat around the same times every day. Having a consistent eating schedule helps the body regulate and normalize hunger signals, so you aren't ravenous all the time. The formula I provided in step 1 (GOAL body weight x 11-13) should put you in a moderate deficit to lose between 0.5-1.5% of your total body weight each week. Don't worry about how much you lose or don't lose the first week. Your body will be adjusting to the lower calorie intake, so don't be surprised if you have a big drop or gain in water weight. The second week will better represent your progress and if you'll need to make changes to your calorie intake. Lost MORE than 1.5% of your total BW? Add back 100-200 calories. You should ONLY adjust your calories if you have been over or under the 0.5-1.5% loss of body weight range for more than two weeks. Who doesn't love a good cheat meal? Even The Rock digs em'! 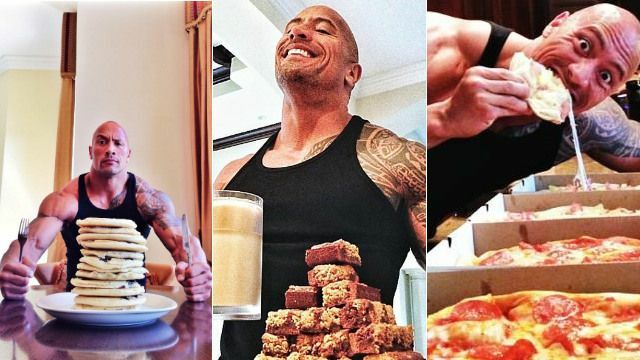 Cheat meals can be a great way to take a mental break from dieting and fulfill all of the cravings that have been building up. If left completely unmonitored, cheat meals can quickly get out of control and possibly end up reversing the hard work you put in during the week. As long as you're going into a cheat meal with the right mindset, and don't overdo it, there won't be much, if any, harm done to your fat loss progress. Q: What If I want to maintain or gain weight? A: The only diet change I make when switching to maintaining or gaining weight is total calories. The majority of your food choices should always be coming from micronutrient-dense whole foods regardless of your body composition goals. The one benefit, though, of getting to eat more calories is that you can get away with more "unhealthy" foods than if you were dieting. Q: Can these meal planning strategies work for someone who eats vegan? You can follow the advice in this article I wrote which outlines how to adjust and fit your restaurant meal into your calorie and protein goals. You could treat it as a cheat meal using the strategies I talk about in this article. A: No alcohol allowed. Ever. It's 100% possible to drink alcohol and still lose fat. Here's an article that'll show you exactly how to drink alcohol on a diet --> Click Me! Q: Should I be exercising? And if so, what kind? In my opinion, the best type of exercise is strength training, especially for someone who's dieting and wanting to maintain their lean muscle. It's actually pretty crazy how many benefits there are for lifting weights while in a calorie deficit - many of which I talk about here. I'm not a huge fan of cardio, but I do think we can all benefit from getting more daily activity. If you use a Fitbit, aim for 10-15k steps per day. Q: What if I go way overboard on my cheat meal? A: Put it behind you. Even if you gained some weight, most of it is water. Get back on the grind, and you'll be back to normal within 2-3 days. Q: Anything else I should read that'll help with meal planning? These sample meal plans are meant to serve as an example of how you could plan out your calories and protein goals for a day based on your body stats and calorie needs. Creating and effective and enjoyable meal plan doesn't have to be complicated. Sure, it may require some work up front from determining the right number of calories, planning out food choices and meals, and adjusting over time. But once you have things set, it's smooth sailing. The best meal plan is one that makes your life happier, healthier, and more enjoyable. But most importantly, it's one that you can STICK TO in the long run. That's the key - create a meal plan that fits soundly into your life, follows a few simple rules (those 5 steps from earlier), includes foods you actually enjoy, and makes losing weight a rewarding and stress-free experience. 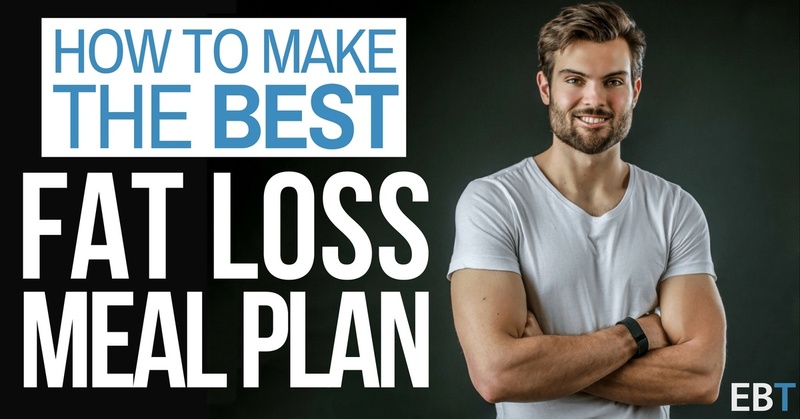 Want More Help Setting Up The Perfect Fat Loss Plan For Short and Long-Term Success? Sign up for my FREE Fat Loss Forever eCourse and learn how yo finally Lose Fat, Get Fit, and Maintain A Lean & Healthy Body for the rest of your life!